Feeling sluggish and as though you ran a marathon even upon rising in the morning? Wondering what you can do to help boost your energy and put a little pep in your step? Putting a twist on Beyonce’s song, it is time to put your health on it. 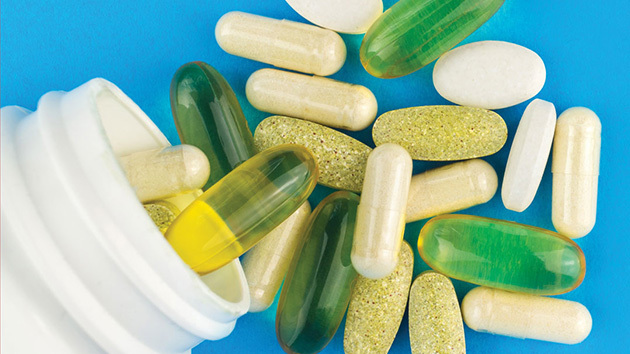 Before running out and filling your cabinets with vitamins, it is important that you understand that taking numerous amounts of supplements does not mean increased energy and better health. The body can only manage micro amounts of vitamins and does away with what it is unable to process. Because vitamins will boost energy levels only if you are deficient, getting a clear picture of what you are lacking in from your health care practitioner is always recommended. Because of our current food supply system, farming practices and soil quality, it can be challenging to get all of the nutrients our body needs from our food sources. A multivitamin is a great way of supplementation if you are not aware of your body’s specific needs. Don’t sleep on sleep - Getting the proper rest is vital. Your body does its healing and repair work during sleep and ongoing sleep deficiency has been linked to an increased risk of various disorders. If you are experiencing insomnia, look into supplements such as melatonin which is not harmful and can help in repairing your sleep cycle. Start the day off on a good foot - A healthy diet is crucial in maintaining energy levels. Start off with a nutritious breakfast and eat consistently throughout the day. Your body gets energy from macronutrients which include carbohydrates, proteins, and fats. Avoid eating processed foods high in sugar and caffeine. Consuming fibrous foods helps to avoid spikes and drops in energy levels. Instead of drinking coffee, drink a cup of green tea. Green tea has been found to decrease the risk of cardiovascular disease, various cancers as well as increase brain function. Because most of us do not intake enough Omega 3, an Omega 3 supplement is excellent for maintaining brain and cardiovascular health; it can also be beneficial in decreasing premenstrual symptoms which can leave some women feeling drained right before their menstrual cycles. A little boost goes a long way - As Dr. Oz recommends, think about incorporating a fatigue fighting cocktail into your regimen. This includes the powerhouse Vitamin B complex which converts food into energy. Vitamin B6, in particular, helps the systems in your body function. Combine your B Complex with Vitamin D3 which helps reduce drowsiness. Vitamin D3 deficiency has become dominant in the United States due to increased air pollution, the use of sunscreen, and spending more time indoors. Because melanin protects the skin against ultraviolet rays, it is more challenging for those with darker skin to produce Vitamin D because it affects the skin’s ability to activate pre-vitamin D. It is recommended that taking B complex and D3 in the morning with breakfast is most effective. So start the day off with your cocktail so that you will be riding high for the remainder of the day. Work it out - Exercise helps combat fatigue and boost energy. It increases circulation and strengthens the heart muscle and it has been found that the way to beat fatigue is not by exercising less but by exercising more. So step off the slow train by incorporating some of these tips into your daily routine. Your body will thank you for it.